After disappearing for more than two weeks, White House Press Secretary Sarah Sanders made her triumphant return to the briefing podium on Wednesday afternoon. She made sure to defend President Trump’s massive and inexplicable flip-flop over Russia’s meddling in the 2016 election and tended to her usual beef with journalist April Ryan. She also, thankfully, informed everyone in the room that not all redheads are Russian spies! Sanders chided the press, accusing them of encouraging rumors that a photo depicting a redhead in the Oval Office with Trump was actually Mariia Butina—a (redheaded) Russian charged with being a Russian agent. In truth, it was some other redhead. 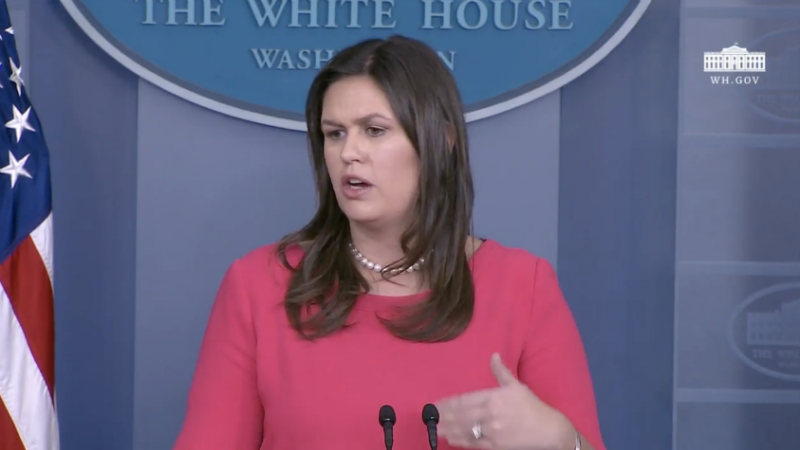 “But just to clarify, there was massive media hysteria yesterday over confusion between that individual and a White House staffer, which I think shows, frankly, the outrageousness and the desire to find the negative in everything that this President does,” she said after dodging the question.